Experience counts in the trucking industry. We're here for all your specialized and livestock needs. 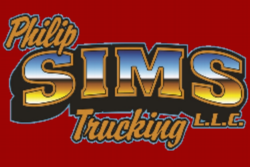 We're centrally located in Otis, CO.
Philip Sims Trucking, LLC prides itself on being a family owned and operated company with superior customer service. Philip Sims Trucking, LLC believes in the value of operating well maintained, late model equipment, hiring experienced drivers, and professionalism not only for our company but for yours as well. We convey our company's image and professionalism every time we haul your specialized or livestock load. Call Philip Sims Trucking, LLC today, or fill out the contact form to get in touch. Philip Sims Trucking, LLC will make your specialized hauling or livestock delivery efficiently and professionally. All of our pork industry haulers are Transport Quality Assurance-certified to ensure a timely and careful delivery, every single time. Ready to get started? Call Philip Sims Trucking, LLC today at 970-345-0189 to learn more. We offer complete livestock hauling for cattle, hogs, sheep, and goats nationwide. Our drivers are Transportation Quality Assurance (TQA) Certified and we are a TQA Certification test site. Your challenging load is our success story! Our experienced, well trained staff overcome your toughest challenges to exceed your expectations. Oversized? Overweight? Over Length? We have you covered throughout 48 states and Canada. Copyright © 2019 Philip Sims Trucking, LLC, all rights reserved.